Women Enterprenuership Development Foundation (WEDF) deals with the wax products and we have specialties on desined Candles. Women Entrepreneurship Development Foundation (WEDF) was establish with a view to uplift the status of Nepalese women by providing them with employment opportunities. The foundation works for women empowerment by providing them skills such as candle making so that the can produce candle and sell it to earn some money for their living. 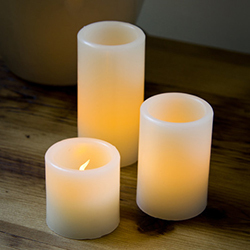 Candles are available in different size, shapes, desined and colors.